Below are the answers we get to our five most common questions. If this page does not help you then please fell free to contact us here. No, we do not. We used to but then we moved our focus into commercial and industrial. We do recommend a few service provider partners on our home page you might care to take a look at. Do you cover the entire import process form China? Yes, we do. If you are importing good from China we are very well connected and manage the entire process for you. We can even assist with warehousing solutions in China if needed. We can cater to you needs not matter the solution you are looking for. We offer FOB, EXW, CIF and CFR. We also help you deal with the UK Duty and VAT upon port arrival. Once your product is in the UK we can offer storage solutions or transportation to your desired location. Do you offer order fulfillment? This is a very common question as we help a fair amount of eCommerce store owners with their imports. The unfortunate answer is no. We don’t warehouse stock and send individual orders. Our transportation division is commercial B2B in nature for mostly large goods. 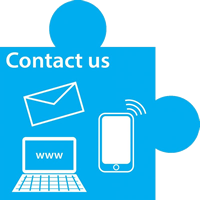 We would recommend you contact a local courier services if you require this service. Or if you are looking for a modern age solution Shirpwire is an excellent choice. Our business needs XYZ fixed or replaced. Can you help? We offer bespoke trade solutions. It does not matter if you have broken glass, busted pipes, water damage, lock issues or even gardening requirements. We offer every solution possible. How is this possible you asks? We have worked hard to build up our team of in house tradesmen team. Anything that is out of our normal scope of work is still possible as we subcontract with over 65 specialised providers in Swindon. As long as the job is commercial or industrial in nature we can help. We are moving our business to XYZ city. Can you help? We offer bespoke moving and cleaning services across the entire UK at very competitive rates. In the past we have helped local businesses move to London, Bristol, Manchester, Liverpool, Leeds, Edinburgh, Glasgow and once we even helped a business move to the other side of Ireland all the way to Cork! With Swindon and the surrounding 50 miles we will use out trucks and our team. If you are moving your business beyond 50 miles will can still assist but we do subcontract some parts of the move to other trusted providers. We also clean! Once the move is done we can clean the commercial premises based on your commercial rental agreements. We have never had a client no get back the rental deposit after we are done.